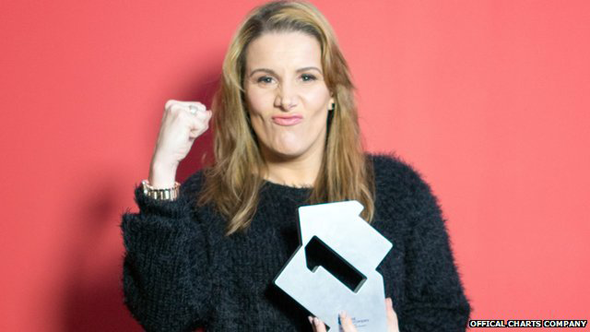 X Factor winner Sam Bailey has claimed this year's Christmas number one, with her debut single Skyscraper. The former prison officer outsold her nearest rival, Pharrell's Happy, by two to one to become one of the fastest selling singles of the year. Bailey, 36, said topping the festive chart was the "icing on the cake". 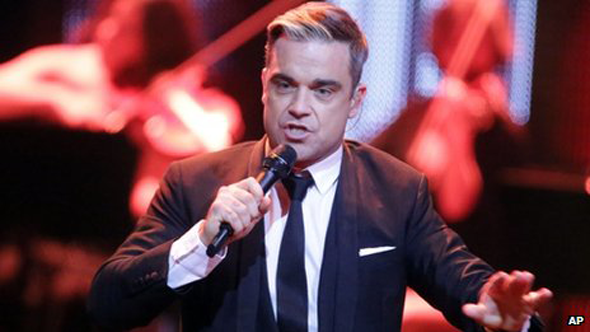 Robbie Williams' Swings Both Ways held onto number one in the album chart after a close battle with One Direction and Take That band mate Gary Barlow. Leona Lewis had the highest charting Christmas song, with her original track One More Sleep staying steady at number three. AC/DC scored their first ever UK top 10 single, with Highway To Hell at number four after a social media campaign to try and keep this year's X Factor winner off the top spot. "Being number one is absolutely amazing," said mother-of-two Bailey, who beat 16-year-old Nicholas McDonald in the X Factor final last Sunday. She said that the fact proceeds from the single are going to two charities, Great Ormond Street Children's Charity and Together For Short Lives, made it "extra special". Figures from the Official Charts Company show Bailey sold 149,000 copies of Skyscraper this week, a cover of a track by Demi Lovato. Last year's X Factor winner James Arthur sold 490,000 copies of his debut Impossible in the first week, but missed out on the Christmas number one as his track topped the chart a week earlier. The official Christmas number one was announced by Radio 1's Jameela Jamil and Scott Mills just before 19:00 GMT, during a special edition of the Official Chart Show. Swedish DJ and producer Avicii's Hey Brother was at number five in the singles chart, while other notable entries included The Big Reunion's charity cover of Wizzard's I Wish It Could Be Christmas Everyday. The supergroup is made up of members from 90s pop acts 5ive, Atomic Kitten, B*witched, Blue, The Honeyz and Liberty X, following the success of their reality show. A Facebook campaign to get Altern 8 to number one saw the 90s rave group return to the top 40 for the first time in over 22 years, with Activ 8 (Come With Me) at 33. In the album chart there were less than 200 copies between Williams' second big band release and One Direction's Midnight Memories, both of whom clocked up sales of more than 126,000 each this week. One Direction's third studio album has sold more copies this year than any other artist album released in 2013, although it is currently trailing behind Emeli Sande's 2012 album Our Version of Events for the title of biggest seller of the year. Olly Murs, who appears in a duet with Williams on his album, was at number four with his solo release Right Place Right Time. Beyonce's self-titled album - released digitally last week without any prior notice - stayed at number five.